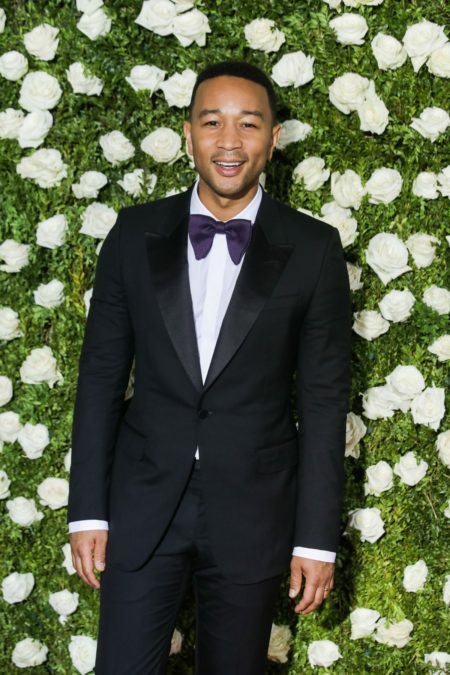 Music icon John Legend has signed on to play Jesus Christ in NBC's upcoming TV concert presentation Jesus Christ Superstar Live in Concert. David Leveaux will direct the previously announced new version of Andrew Lloyd Webber and Tim Rice's 1971 musical, slated to take place on Easter Sunday, April 1, 2018. The concert will be filmed live from Brooklyn, NY. "I'm thrilled to join the cast of this production of Jesus Christ Superstar Live in Concert," Legend said. "It's such a powerful, meaningful musical and I'm humbled to be part of this performance. We've already formed an incredible team, and, as we finish casting, I'm certain we will put together some of the greatest talents around to do this work justice." A highly accomplished musician, concert performer, songwriter, actor, and music and film producer, Legend is one of the composers of the new Broadway musical SpongeBob SquarePants. He earned a 2017 Tony Award as producer of August Wilson's Jitney. Legend is also an Oscar, Golden Globe and 10-time Grammy winner. Legend joins the previously announced Alice Cooper as King Herod. Additional casting will be announced at a later date.